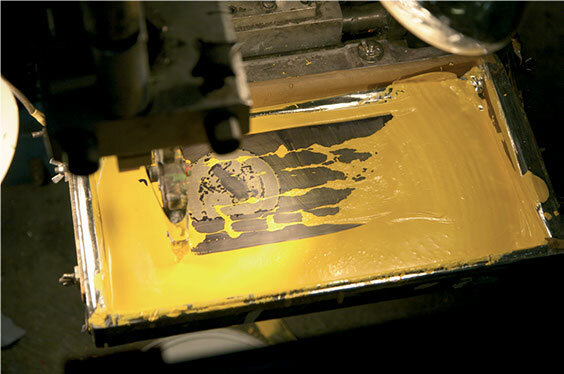 At Festival Glass we offer both single colour and multicolour direct screen-printing services. Big or small, bold or subtle these services are perfect for achieving professionally decorated drinking glasses for any occasion. We offer an extensive catalogue of colours and the incorporation of CE marking within our printing services. Our single colour printed glassware service is a fairly simple printing technique. Nevertheless, results in eye-catching branded glassware. Single colour prints are offered across our entire glassware range. 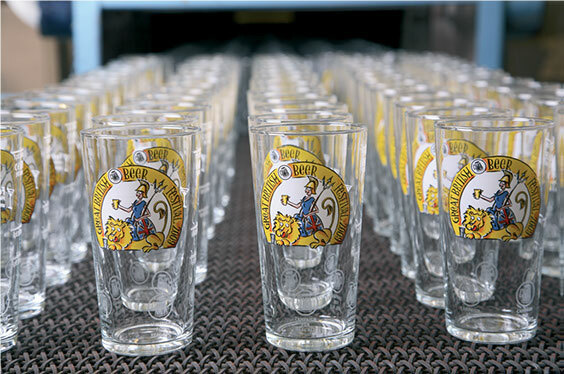 Our multicoloured printed glassware service at Festival Glass offers 2 to 5 colour prints on both sides of the glass. We are able to offer fully automated high definition 5 colour decoration across a wide range of glassware from as little as 1200 pieces. 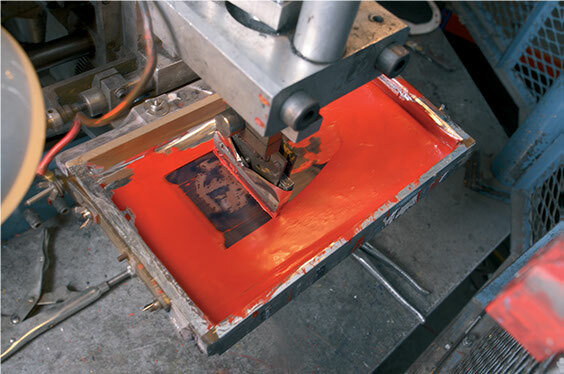 This multicoloured glass decorating service uses a layering technique whereby each colour is given its own print station and as the glass moves through each station a colour is applied layer by layer. The glass enters each station in exactly the same position as the last ensuring accurate registration is achieved every time. We also offer a fully toughened printed glassware service. Our fully toughened glassware range is professionally decorated using low firing organic inks and ultra violet inks are available in a wide variety of colours including etch effect. We also offer a single colour printing service on polycarbonate drinking glasses. For when glass is just not an option polycarbonate offer a strong and sturdy safer replacement for glass. Perfect for all outside events this reusable range offers the added benefit of being an event souvenir helping to reduce one time use plastic waste for events.